A knife can be one of the best tools you could ever have. These multi-purpose tools are designed for a wide variety of tasks. They are so useful there isn’t a soldier, a Marine, a cop, or prepared citizen not equipped with some form of knife. 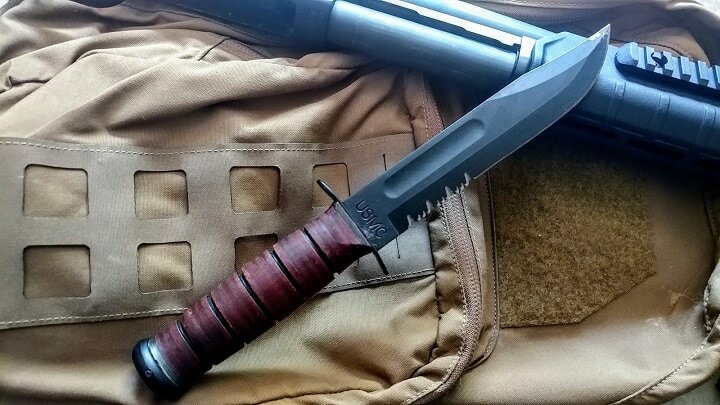 Today we are going to talk about a specific form of knife, the tactical knife. 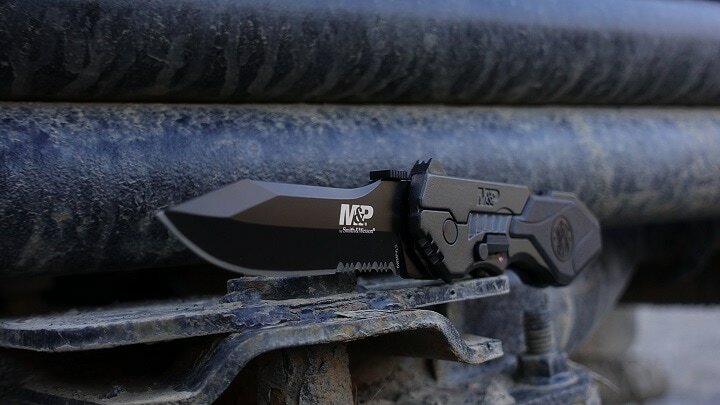 Tactical knives have become quite common as the EDC community has grown, as well as upstarts in citizens becoming more prepared, and the Global War on Terror was a major upstart for the knife community. We are going to dissect tactical knives and talk what works and what doesn’t. 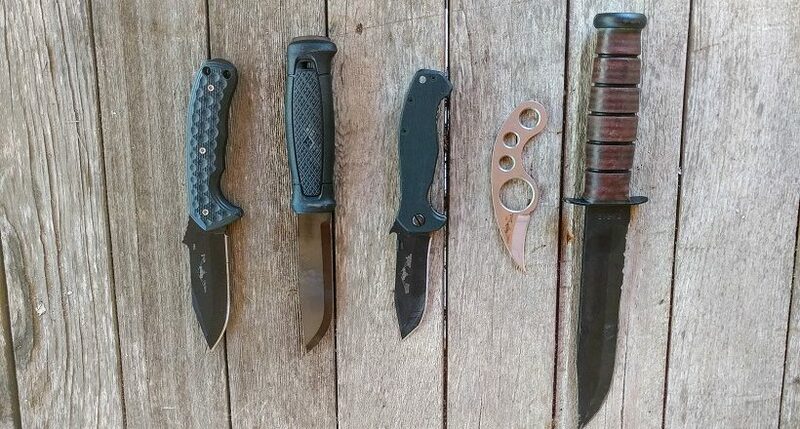 By the time you are done with this guide, you’ll understand what makes a tactical knife as well as how to choose a tactical knife for survival, for self-defense, and military and police use. Tactical knives are designed to be rugged and strong knives that can take a beating and keep kicking. 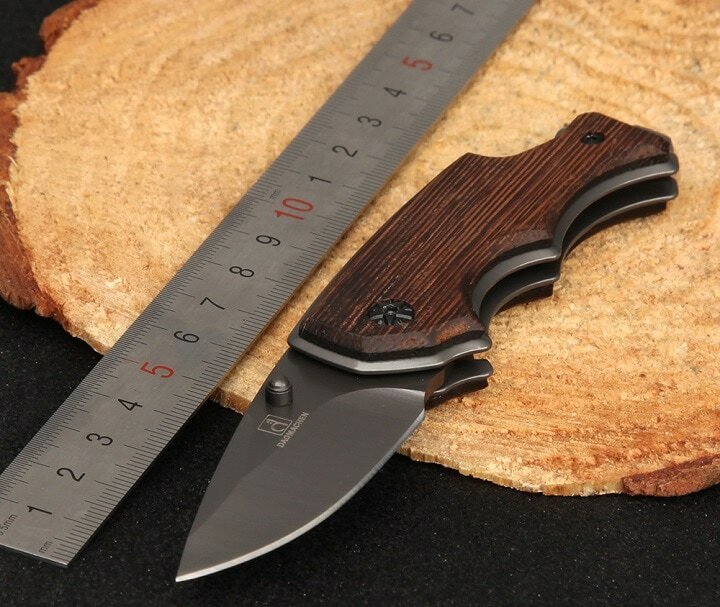 Beyond your normal EDC cutting tasks you may need a knife to help cut wood, start a fire, and even be a self-defense tool. That’s where tactical knives differ from standard pocket knives. They are designed to cut, slash, baton, and fight. The design of a tactical knife allows it to be an effective fighting tool, as well as being more robust when it comes to cutting, prying, etc. Because tactical knives may be called in for self-defense tasks you need to be positive the knife is well made and dependable. When your life is on the line is their any reasons not to accept the best? 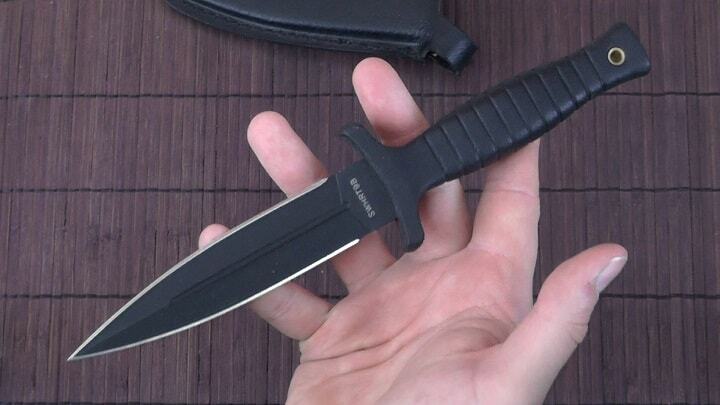 Ever since Crocodile Dundee said, “That’s not a knife, this is a knife.” and pulled a Bowie knife versus a mugger’s pocket knife people have been obsessed with the size of their knives. I’m here to say a tactical knife can be a 7-inch Ka-Bar as well as a 2-inch hold out knife. Tactical is a state of mind, and every situation calls for something different. In the knife world, you have options for every situations and knives come in any size. The trick is to match size for purpose and task. Knives designed for combat in a war zone can be as big as you need them to be, other models designed for discreet carry When it comes to size the only thing you need to worry about is matching size to purpose. Your blade should be relatively thick. There shouldn't be any wiggle in the blade. Anywhere from 3/16th and should work depending on the knives size. 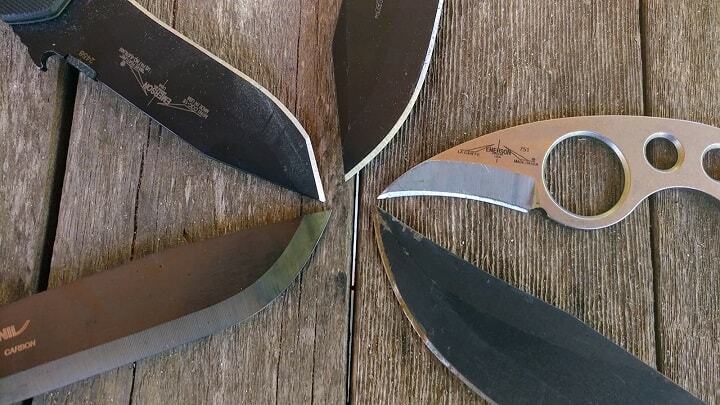 When it comes to fixed blade knives you generally want to go thicker. A .165 inch and up is my go-to for fixed blade survival knives. If you are planning to use the knife to pry and pull I'd go with something knife and thick. 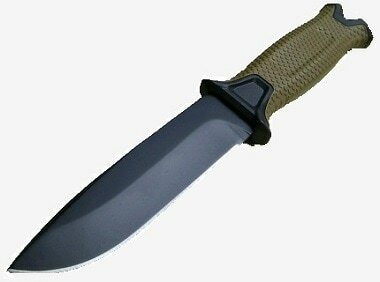 The Gerber Infantry LMF 2, for example, wears a .185inch thick blade and that’s one tough knife. Thicker blades are heavier, which makes them a little slower, and can wear on your body when you carry it. So keep this in mind when choosing a knife. There are tons and tons of different blade styles out there. The point of the blade matters significantly and also reinforces what the knife is made for. I won't list all the blade styles out there because we would be here all day. Instead, I’ll list the blade styles that are best for tactical knives. A clip point is a very traditional style blade found on dozens of different tactical knives including the Ka-Bar. The clip has a thinner point that curves slightly backward. This rear curve and thin point make fine cuts easy as well as hard to reach areas. The drop point is probably the most common blade style in existence. A drop point blade is very strong and doesn’t break easily. The drop point is very easy to sharpen and can be used effectively in a wide variety of tasks. 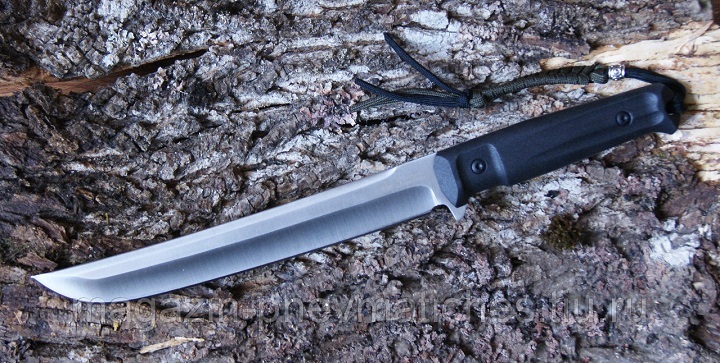 A tanto blade is made for stabbing and penetrating through thick materials. This style blade is extremely strong at the tip and excellent for fighting and the sharp angular curve makes slashing potent. The only downside is it is more difficult to sharpen. Spearpoint blades are symmetrical blades that with each side being sharpened. Spear points are relatively strong and excellent for stabbing and thrusting in general. They are poor for slashing, but easy to sharpen. The tang refers to fixed blade knives. A tang is the portion of the blade that extends into the handle. 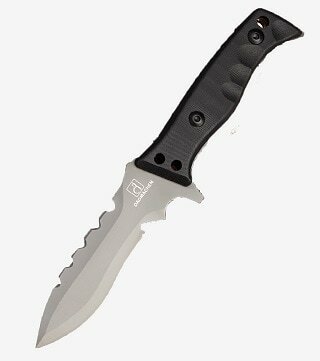 A full tang is the most desirable for a tactical knife. The presence of a full tang makes the knife extremely strong and makes it near impossible for the blade to break. Knives that lack a full tang can easily break off at the handle when placed under pressure. A full tang is a necessity for tactical knives. There are some partial tang knives that are designed for specific purposes. For example, Crash knives are designed for users to cut their way out of a vehicle and may feature a close to full tang. The reason they lack that full tang is to avoid electrical shocks when slicing out of a Humvee or a helicopter. With the knife world being so large it can be hard to really nail down the best steel. Some have differences in carbon content of less than a percentage but will have completely different names. You generally want a good mixture of carbon in your steel. Carbon steel is stronger than stainless steel, gets a sharper edge, and the edge lasts longer. The only downside is that carbon steel will rust, and doesn't offer the same corrosion resistance as stainless steel. 440c, s30v, 154cm, d2, 1095, and bg-42. Grip size is important, and in most cases should fill your hand. 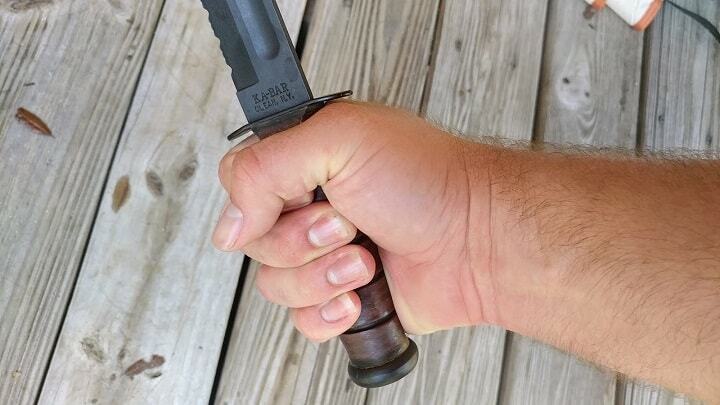 On small tactical knives, you want a grip that keeps the knife in your hand. The grip itself may be small and thin, but offer a retaining device of some kind. The most common type of these devices is a fingerhole. A finger hole allows you to keep the knife in your hand regardless of how small the knife actually is. Grip size is important when it comes to your standard fixed blade knives. You want a grip that fills your hand and is long enough to accommodate all your fingers. A large grip that fills your hand will be a more comfortable grip and allow you to retain the weapon. In a fight, you want the ability to retain the weapon. If it comes out of your hand it may find its way into your enemy’s hands. With that in mind, you want a textured grip that won't slip from your hands regardless of how wet or bloody they are. Fixed blades are extremely strong and often the larger of the two options. Fixed blade knives are the better fighting knife due to their durability and often larger size. The downside is these knives aren’t exactly easy to carry in a discrete manner. Some fixed blades are quite small and that makes them valuable for concealed carry. 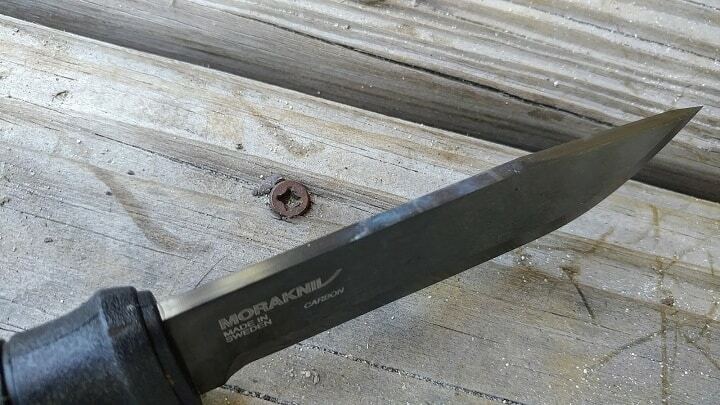 A concealable fixed blade knife often loses the advantage of blade length and strength. However, they are fast to deploy. Tactical folding knives are a little newer in the industry and they really started with Ernest Emerson’s creations for the US Navy. A tactical folding knife is designed to be lightweight and easy to carry as well as stay concealed. 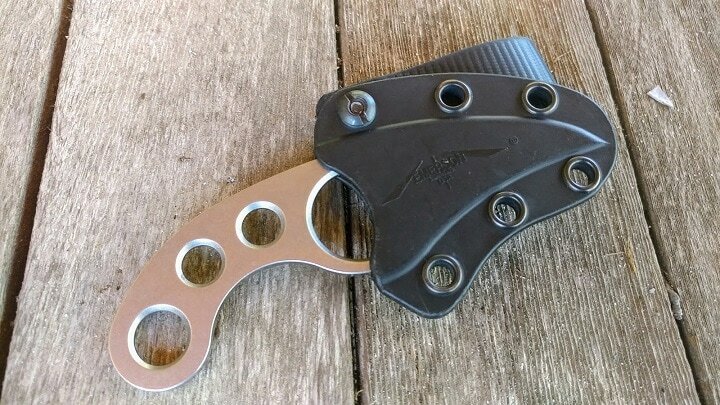 A tactical folding knife needs to be strong, and quick to open. They’ll never be as strong as a comparable quality fixed blade knife, but they can get close. 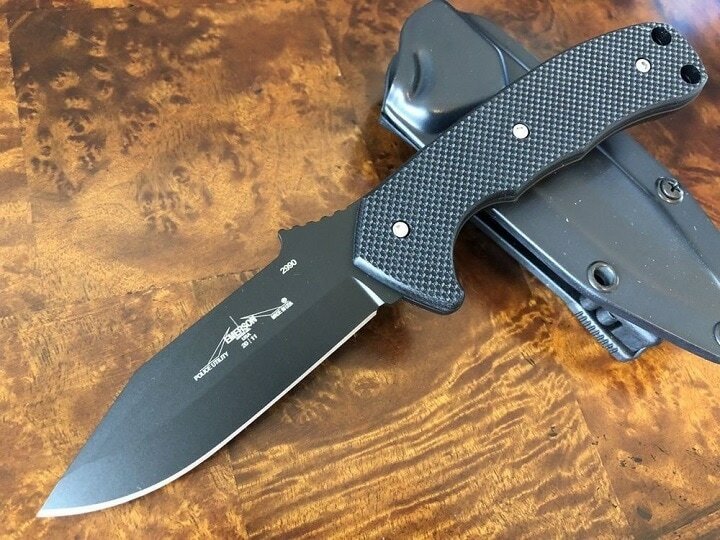 A tactical folding knife is perfect for everyday carry. Before we end the article we are going to talk about a few subcategories of tactical knives. These knives are often purpose-built and designed for different uses. We’ll talk a bit about each category and give you our pick for that category. Last Ditch Knives are fixed blades that are often superbly small and lightweight. They are designed for deep carry and can be easily concealed in a variety of ways. One of the most popular ways is to wear the knife on a necklace. Last ditch knives are for situations where you are already engaged in a fight and your options for fighting back are very limited. These knives are also often carried by soldiers on their vests to give them a close quarters advantage if they are wrestling over their rifle. Last ditch knives are made for brutal, close quarters use when your life is on the line. 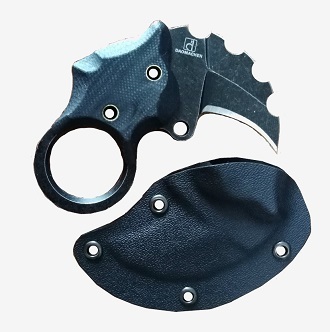 The Dao Mini Knife is a fierce and affordable mini karambit knife. 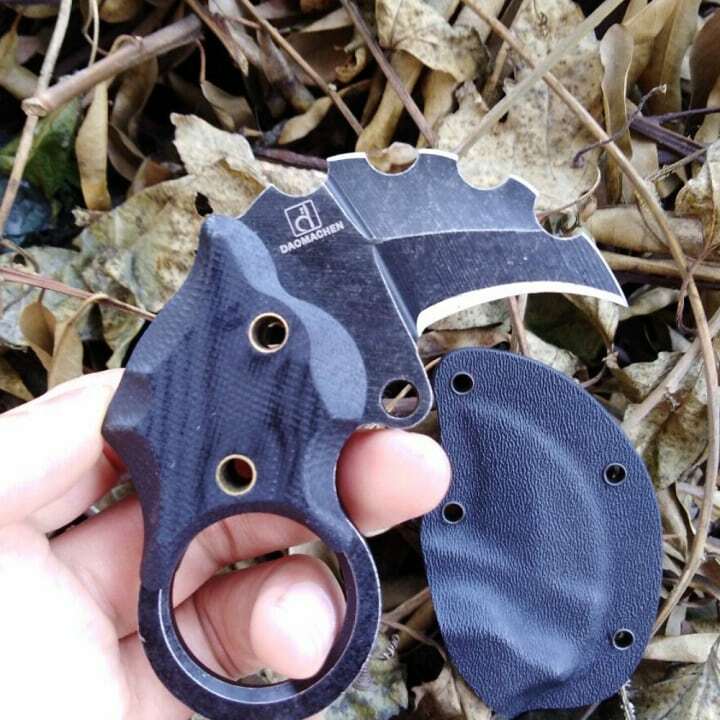 This little blade is ultra small but features the standard finger loop found on most Karambits. This blade has a very fierce curved blade designed to rip and tear when necessary. The blade is only 3.5 inches long overall and has a short 1.1 inch blade, but as a last ditch weapon its perfect for causing quick damage and gaining that critical advantage in a fight. 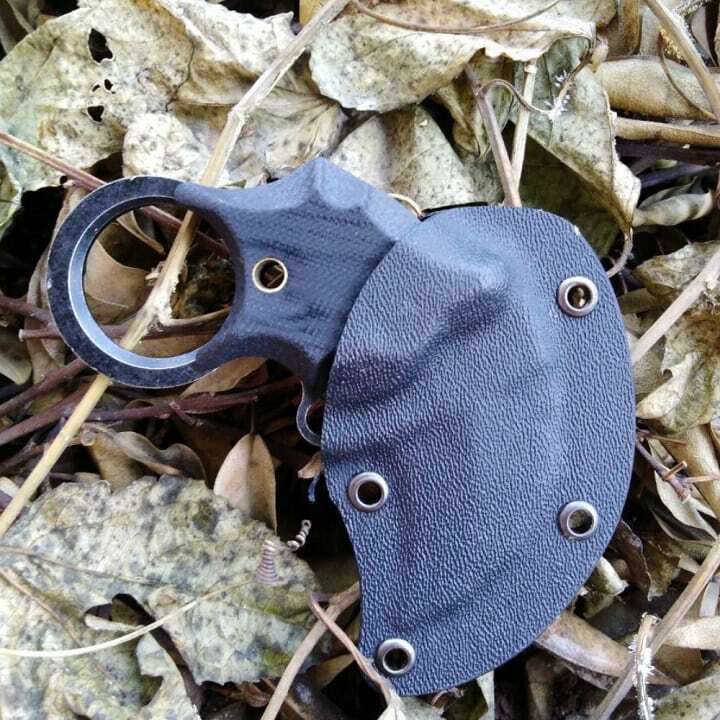 This micro Karambit comes with a simple sheath that’s easy to hang from a necklace and be discrete with. The Daomachen Mini Knife is a good friend to have when it comes to discrete carry and close quarter’s fighting. It’s an affordable option that’s ready and willing to defend your life. At the time of writing, this is priced at $29.99 but click below to claim 10% discount and free shipping. 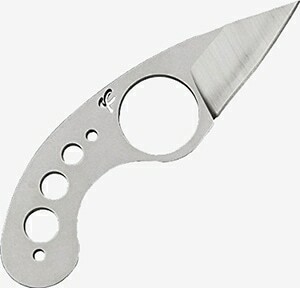 Designed by Fred Perrin the La Griffe is a minature claw with a great retention finger ring. It’s designed for fighting and its ultra small and lightweight. The La Griffe can be worn around the neck, or IWB with ease. 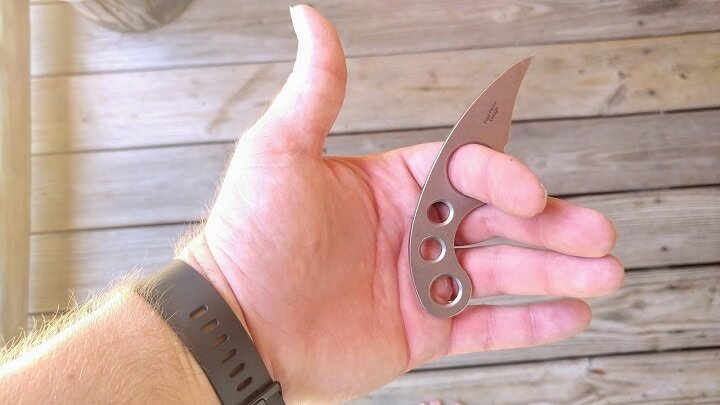 This mini knife is a force of nature and is perfectly capable of stabbing and slashing. With the finger loop on your hand it’s not going anywhere. 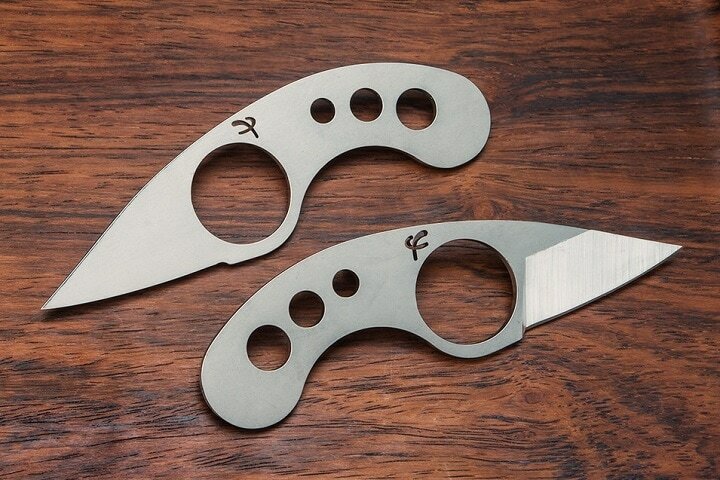 The La Griffe is the perfect little knife for fighting and a great last ditch option. The price of A La Griffee Knife varies, so check the latest price at Amazon. Fighting knives are designed to give the user an offensive tool to kill or maim an opponent. There really isn’t a nice way to say it. Fighting knives need to be brutal weapons that will slice and stab an enemy with ease. A fighting knife may be used for utility purposes, but their main focus is fighting. These knives need to be strong and durable. They need to have a full tang and a full-sized grip that offers excellent retention. 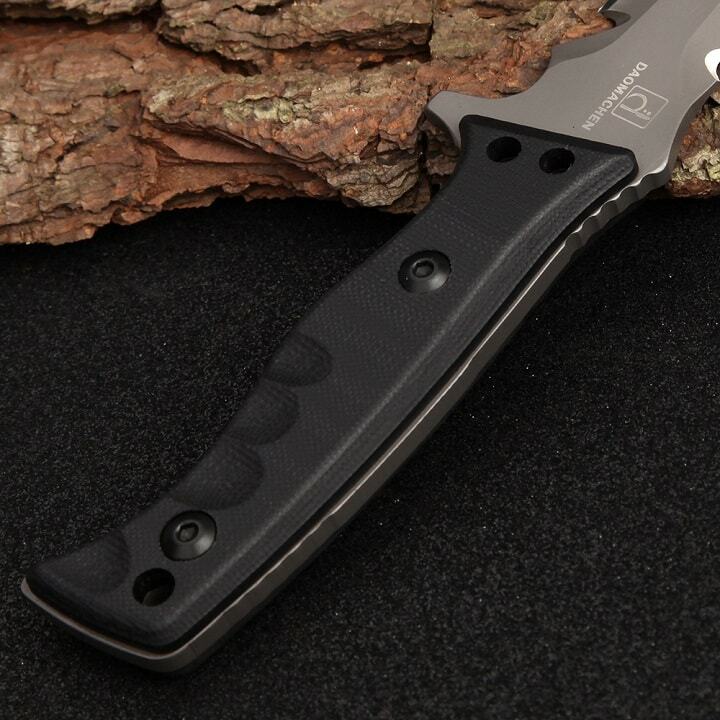 Our robust blade features a full tang to provide strength and durability. The end of the grip is complete with a skull smashing, window breaking, lanyard looped spike. The handle is coated in a rubberized grip texture for a superior grip that’s perfect for both retention and comfort. The wide blade is made entirely of steel and coated with a hard coroison resistant finish. 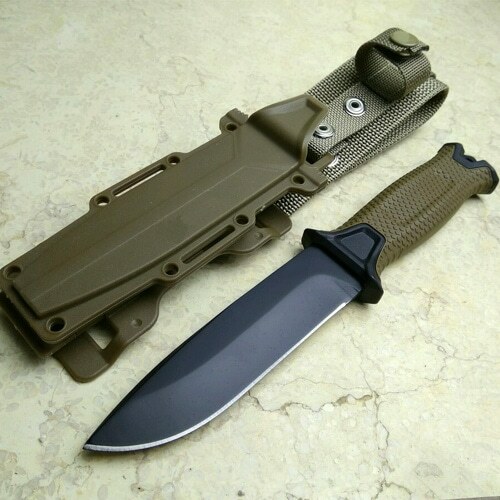 The HM Military knife comes with a polymer sheath that allows you to carry the knife from the belt veritcally or even horizontally. This simple, but robust knife is perfect for fighting, and gives the end user an awesome package for a great price. At the time of writing, this is priced at $59.99 but click below to claim 10% discount and free shipping. A concealed carry fixed blade is a little different than a last ditch knife. A concealed carry fixed blade is a bit larger and offers an offensive weapon rather than a reactive defensive weapon. A concealed carry fixed blade knife has to be durable and strong, but also easy to conceal and lightweight. An important consideration should also be the sheath the knife is carried in. An IWB sheath is an excellent way to conceal the knife, and so is a horizontally mounted blade. You want a full or mostly full tang for these knives and a strong, and textured grip for retention. The Daomachen concealed carry knife is an ultra thin blade that still offers a significant size blade in a concealable platform. The entire knife is 9.4 inches long and the blade is 3.75 inches in length. 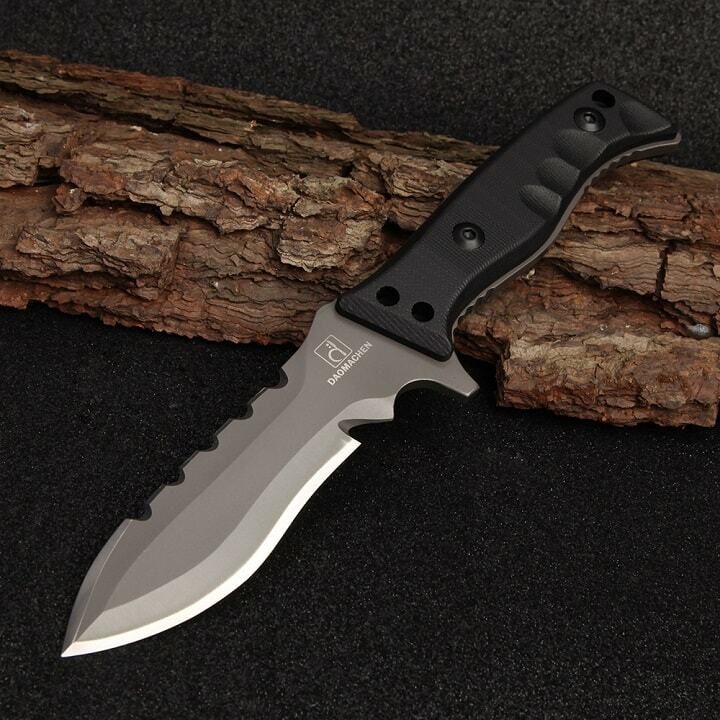 The knife offers users a full tang design for increased strength and durability. 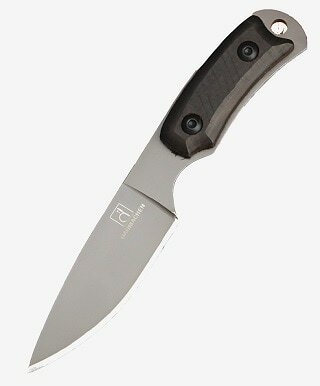 The handles are a thin, and ultra lightweight G10 material and it offers a textured surface for a very sure grip. The blade is a tough CrMoV steel and it has a titanium surface for extreme strength. The knife comes with a great sheath with a multi fit mount that lets you arrange the knife into a variety of positions. This includes vertical, horizontal, or canted carry. This knife is rigid, strong, and well suited for concealed carry and self-defense. At the time of writing, this is priced at $99.99 but click below to claim 10% discount and free shipping. The PUK, or Police Utility Knife, is designed for police but works well for anyne who needs a thin and lightweight knife for concealed carry. The PUK comes with a Tek Lok sheath that allows you you to carry the knife at a wide variety of angles. 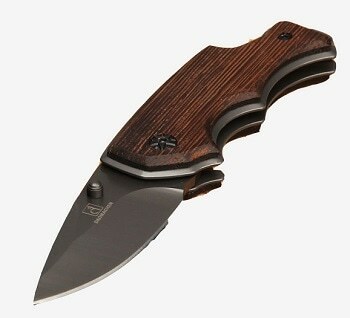 The Emerson PUK is a robust knife with a set of awesome grips for a secure and well rounded grip. It’s a brutal knife that works as both a tool and a weapon. The design is simple but effective for combat. The PUK is one of Emerson’s most famous fixed blades and had a staring role in the film ‘Tears of the Sun’ and was carried by Bruce Willis. The price of Emerson PUK Knife varies, so check the latest price at Amazon. A survival knife needs to be part fighting knife and part bushcraft knife. It needs to have a fixed blade that's thick and strong. A full tang is a must as well. For a survival knife, you want a strong, and flat spine. The flat spine makes it easier to use fire starting rods and to baton wood. The knife needs a comfortable grip that allows it to be used for extended periods without the user experiencing discomfort. 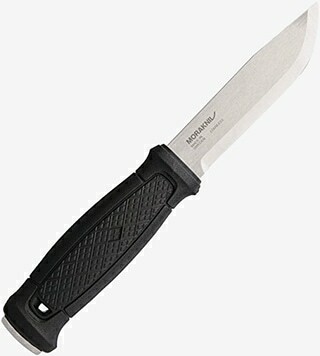 A good survival knife is an excellent tool for any prepper, survivalist, hunter, hiker, or soldier to have. 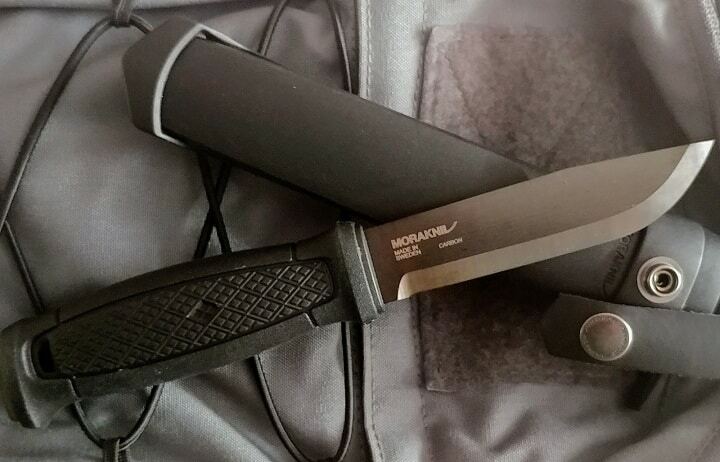 The Daomachen Tactical knife is a simple blade that is lightweight and well designed for survival tasks. The overall length of the knife is 7.5 inches and it sports a 3.5 inch blade. The knife has a nice fat, and rounded handle that’s comfortable in the hand. The blade has a very square spine that’s perfect for striking a ferous rod. The blade also has a nice belly on it that’s perfect for skinning game and cutting meat. The flat top of the blade also offers you an easy place to rest your thumb and guide the blade for fine strokes. The knife comes with a polymer sheath that features a modular mounting system for easy carry in a variety of different positions. At the time of writing, this is priced at $89.99 but click below to claim 10% discount and free shipping. 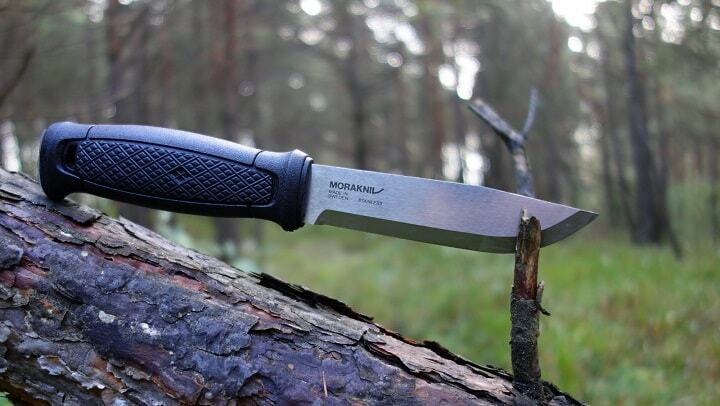 The Garberg is Mora’s first full tang knife and its designed for survival and outdoors use. This knife uses a stainless steel blade that is ultra strong and retains the edge well. The handle is nice and fat and fits in the hand. 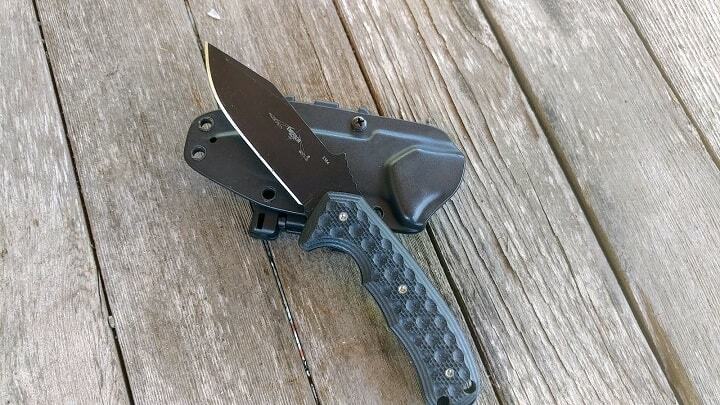 The Multi purpose sheath allows you to mount the knife anywhere, from a belt to a tactical pack. The knife is easy to carry and extremely easy to use. It features a square shaped spine that is perfect for striking ferrous rods to start fires. The blade is simple and easy to sharpen and performs well under stress. The price of Mora Knive Garberg varies, so check the latest price at Amazon. A karambit is an interesting knife that comes from the far east. It features a brutal curve shaped like a tiger’s claw. A karambit is designed for deep slashes that will maim or kill an opponent quickly. The shape and design of the knife make it better suited as a fighting weapon than a utility or survival knife. Karambit knives are strong and dependable and are mostly fixed blade weapons. 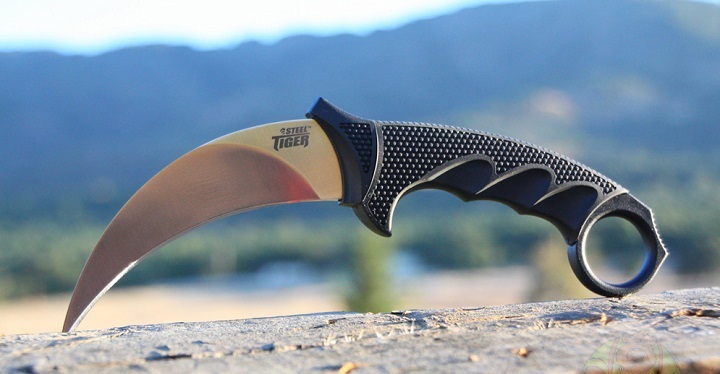 The Cold Steel Tiger is a faithful reporduction of classic Karambits with a modernized edge. The Tiger features an ultra sharp blade and that curves beautifully into itself. It’s design is simple, and it remains effective for slashing. The finger loop on the end gives you user a sure grip regardless of how they hold the knife. The ergonomic handle makes drawing and using the knife easy and comfortable. The Cold Steel Tiger is an excellent defensive weapon and will deliver deep and hard slashes to any opponent. While its faithful to the Indonesian design it’s still modern enough for tactical applications and defensive use. 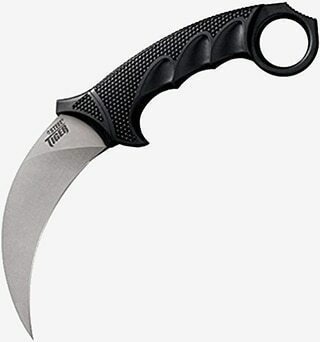 The price of Cold Tiger Karambit varies, so check the latest price at Amazon. A tactical folding knife is a simple, legal everywhere knife that is perfect for concealed carry. They often double as excellent EDC knives. They need to extremely strong and well made. The folding mechanism is a weak point, but a necessary one for concealability. These knives need to be made well and feature a full-sized grip, preferably strongly textured. These knives are perfect with a tanto point. 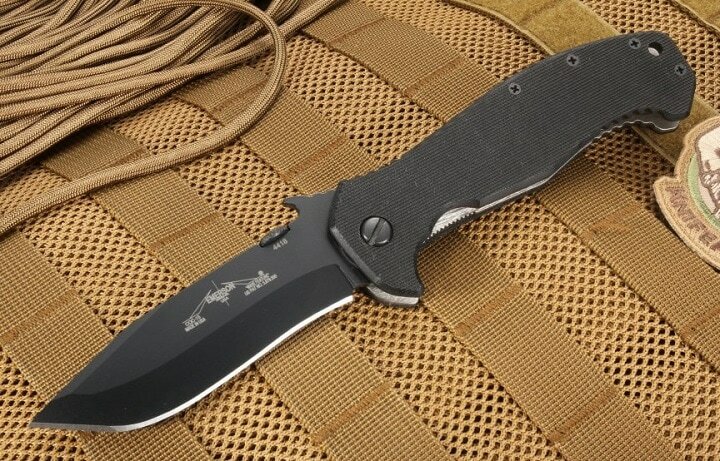 Clint Emerson invented the tactical folding knife and still provides knives to America’s Special Operations Units. 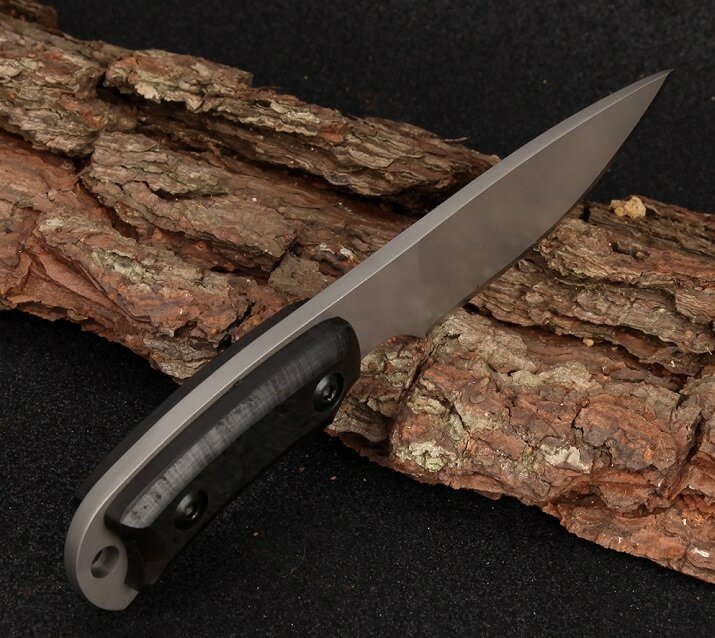 The CQC 15 mini is a combination of two knives that delivers one fine fighting knife. 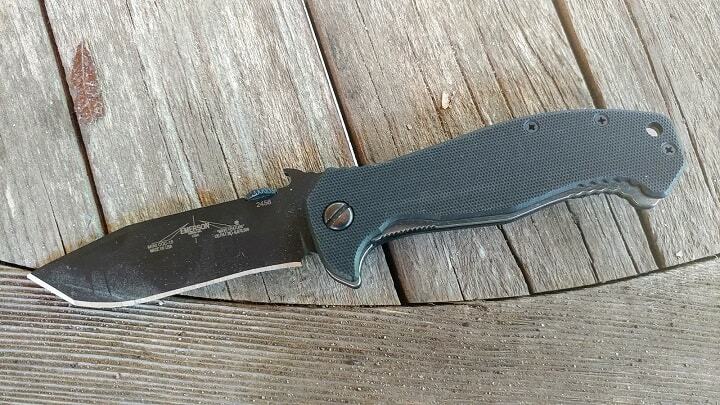 This guy features a rigid point for stabbing, and an aggressive belly for deep slashes. The CQC 15 Mini features the wave technology that allows you to draw it from the pocket in a quick and rapid manner. 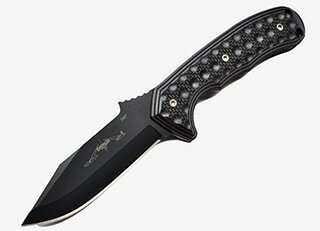 The CQC 15 Mini also has an aggressively textured handle that will keep the knife where it needs to be. 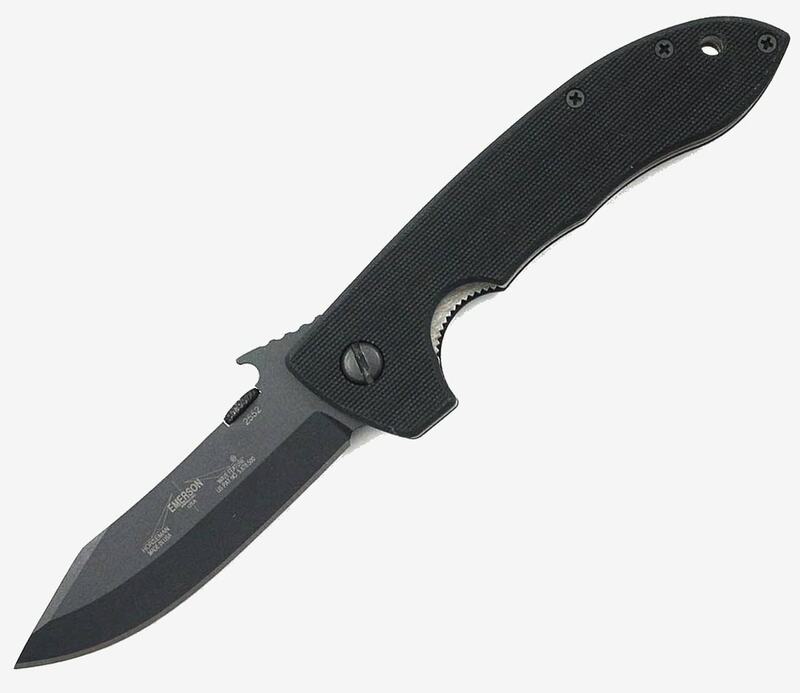 After generations of use by US Special Forces the Emerson CQC series has proven themselves reliable for any task at hand. The price of Emerson CQC varies, so check the latest price at Amazon. Part tactical folding, part last ditch knife the Daomachen folding knife is super small and very lightweight. The blade is only 2.1 inches long and the total length of the knife with the blade deployed is 5.5 inches. This super lightweight knife is easy to carry in everything from jeans to board shorts. The wood grips give you a stlyish twist you don’t see on most modern knives. The blade wears a small thumb screw for quick and easy deployment. This lightweight blade has a stone wash surface that protects the knife from corrosion and the tough 5CR13 steel means the blade will last forever. At the time of writing, this is priced at $74.99 but click below to claim 10% discount and free shipping. Hopefully our Guide on Tactical Knives has shown how to choose a knife as well as a few excellent choices. If you can only take away one thing for this it’s that the knife needs to fit the situation. If you get that down, everything else is you getting to be a little picky.